JERUSALEM (AFP) – Israeli authorities have re-arrested a prominent Palestinian lawmaker in an overnight raid over her leadership in a movement Israel considers a terrorist organisation, officials said Sunday. Khalida Jarrar was arrested in the raid in the Ramallah area in the occupied West Bank, Israel’s army said. The 54-year-old was released in June 2016 after 14 months in an Israeli jail for allegedly encouraging attacks against Israelis. 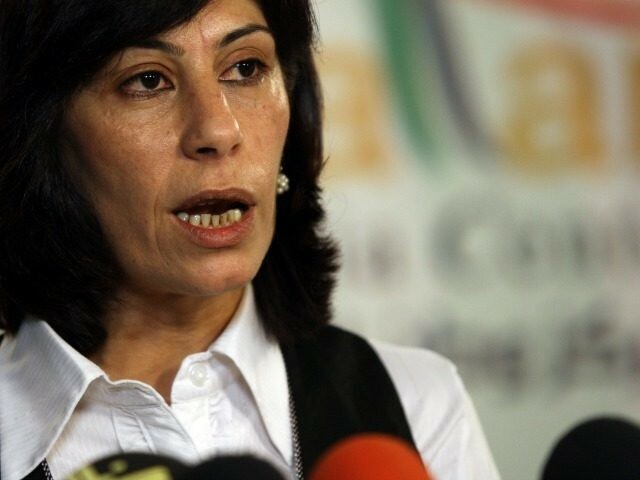 Jarrar is a senior figure in the Popular Front for the Liberation of Palestine, a Marxist party considered a terrorist organisation by Israel, the United States and the European Union. Many of its leaders are in custody and Jarrar has been jailed multiple times. Israel’s army alleged that “after her release she returned to the activity in the PFLP terror organisation,” calling her one of its senior leaders in the West Bank. “She was apprehended for her involvement in the PFLP and not because of her membership in the (Palestinian parliament),” an army spokeswoman said. Israeli authorities said they had also arrested Khatim Khativ, whom they said was a senior PFLP leader as well. Jarrar is a member of the Palestinian parliament, which has not met since 2007 after elections a year earlier were won by the Islamist movement Hamas. A number of Palestinian lawmakers are currently detained by Israel. Addameer, a prisoners’ support and rights group, said a total of 11 people had been arrested in the raid, including Jarrar and Khitam Saafin, who it identified as chairwoman of the Union of Palestinian Women’s Committees. “The arrest of Khalida Jarrar constitutes an attack against Palestinian political leaders and Palestinian civil society as a whole,” it said in a statement.